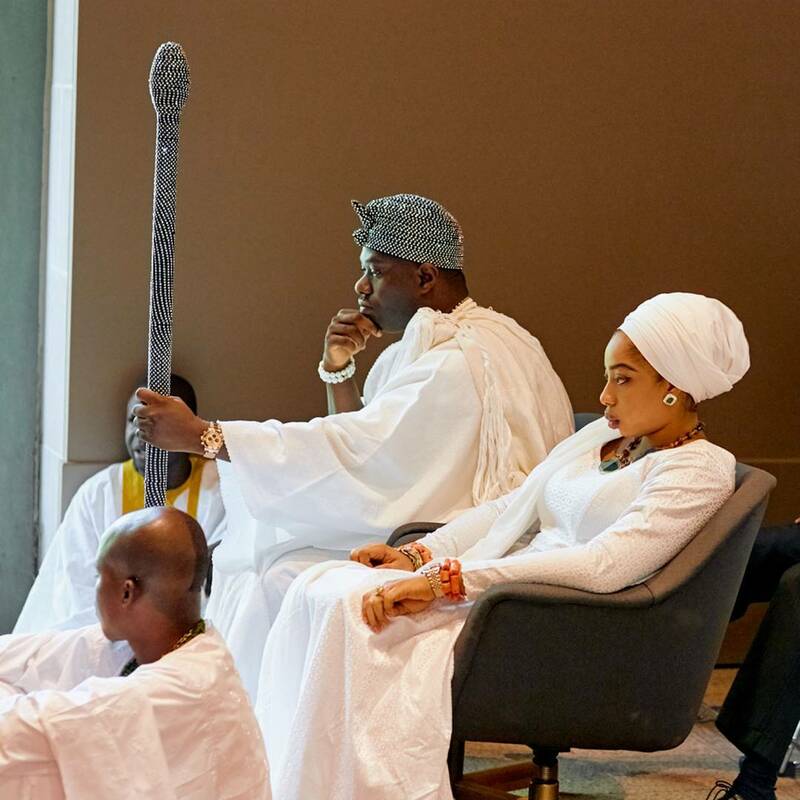 According to Kemiashefonlovehaven and yabaleftonline ,” Olori Wuraola has been sent out of her matrimonial home and has since gone to retrieve her belongings from the palace which is now being controlled by the Ooni’s sisters—Folashade, Adesola and Adebimpe. We also learnt that Olori’s friends are worried about the silence maintained by Wuraola as she avoided spilling some earth-shaking facts that would clean up her battered image. Her friends alleged that Oba Ogunwusi, needed a sizeable financial war chest in his battle to become the Ooni of Ife, was actually targeting Olori Wuraola’s wealth and wide contacts.